Home > Archive by Category "Car Accident Lawyers"
What Compensation Can You Expect in an Auto Accident Case? When you are in an auto accident, the last thing you want to worry about is how you will cover your losses. Yet the compensation you receive when you are injured by someone else’s negligence is important. To protect yourself and your finances, it is a good idea to contact an attorney to represent you. First, you need to understand what compensation is available for those injured in auto accidents. If you are injured in an auto accident that was the fault of another driver, you have a right to compensation for all of your medical treatment. This includes prescriptions, physical therapy, and any ongoing medical treatment that will be required relating to the accident. Some car insurance companies will try to only compensate you for your initial medical bills, without taking into consideration the additional costs you may be facing. This is one reason you should hire an attorney to represent you. If your injuries from the auto accident were severe enough that you missed work, you can be compensated for loss of wages. You can only get compensation for the hours that you missed directly due to the auto accident, generally for recovery or medical treatment. If you are placed on restrictions due to your injuries that cause you to miss time at work, these wages should also be included in your total compensation. Property damage is the most cut and dry of the compensation you will receive from an auto accident claim. You should be compensated for all of the necessary related repairs to your vehicle. If your vehicle cannot be reasonably repaired, you should receive compensation for the total value of the vehicle. This will allow you to purchase another vehicle as a replacement. If you had aftermarket parts that were damaged in the accident, these should also be repaired or replaced. You may be able to get additional compensation for pain and suffering, particularly if your injuries are going to lead to a lasting disability. If your injuries are so severe that you will require ongoing medical treatment and extended time off from work, you should be compensated for the costs and lost wages that will result. If you are unable to continue working in your current field you may be entitled to additional compensation. If you have been injured in an auto accident, it is important that you contact an attorney as soon as possible. You will need to have someone fighting in your corner, negotiating with the car insurance companies, and protecting your rights to compensation for all of your losses. Do not hesitate in contacting an attorney, as many lawyers will give you a consultation at no charge. You can also typically get your legal fees covered in the settlement with the car insurance company or the at fault party. When Should You Contact an Attorney After an Auto Accident? When you are in an auto accident, you may think you’re covered because you or the person responsible for the accident has car insurance. However, there are several situations in which the existence of a car insurance policy does not guarantee your fair and reasonable compensation. If you have been in an auto accident, you should consider contacting an attorney for a consultation, especially if any of these scenarios apply. If the other driver in an auto accident does not have car insurance, you need to contact an attorney. In order for the negligent party to be held accountable, you must have someone fighting on your side to get compensation. Typically, these situations end in a courtroom. If you don’t have a lawyer working for you, you may not get the compensation you deserve. While you can file small claims without an attorney, having an attorney is the best way to guarantee that you will receive the required compensation for your injuries. Car insurance companies are in the business of offering insurance, not paying out claims. Most of them will do everything they can to prevent paying on a claim. If your car insurance company or the company of the other driver is refusing to compensate you for your injuries and damages, you may need an attorney to negotiate with the insurance company for you. The same is true if you do not feel that the compensation being offered by the car insurance company is fair and covers all of your costs. When you are injured in an auto accident, you have a right to compensation for your property damage, medical bills, and any ongoing treatments, as well as lost wages due to missed work from your injuries. Many car insurance companies will attempt to only pay a fraction of your total losses. Before signing anything, you should contact an attorney for assistance. Once you sign documents accepting an insurance settlement or cash their check, you will be unable to get any further compensation for the incident. If you have any questions about whether or not the settlement you are getting from the insurance company is fair, it is best to discuss it with an attorney before signing. If your injuries from an auto accident caused a disability that will affect the rest of your life, you need to contact an attorney to represent you. In these cases, compensation may be available for your loss of job and income, your ongoing medical treatment, and medical appliances such as canes or walkers. You may also be able to get additional compensation for pain and suffering, as well as loss of a caregiver if you are unable to care for an elderly or minor family member. 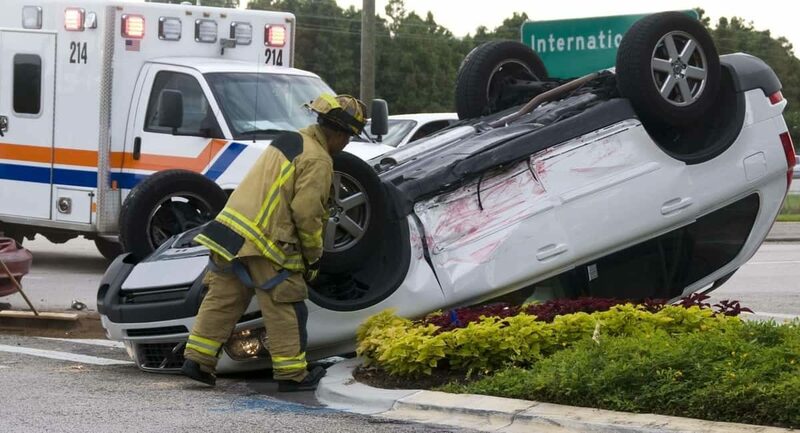 If you have been in an auto accident, the best option is to contact an attorney right away. Many of them will offer a free consultation. It is not at all surprising that good and bad times keep cycling throughout our lives and you must be ready to deal with situations like getting involved in a car accident when the odds are stacked against you. If someone else is at fault for the accident that results in injuries to you, it could be a case fit for claiming compensation for the damages with the help of Cohen Winters – Car Accident Lawyer. Although laws and rules applicable to card accident cases differ between the states, one thing is common to all – the victim must amply prove beyond reasonable doubt that the injuries and damages were due to the fault of the other party. When driving on the road, all drivers have a legal duty towards fellow drivers. When you are driving the car, you have a legal duty towards other drivers, pedestrians, passengers, bicyclists to drive your vehicle carefully enough to ensure that that meets the stipulated standard. The victim or plaintiff must prove that the defendant or at-fault driver failed to fulfill the duty of care that rests on drivers when driving on roads. According to the law, the driver must behave reasonably as expected of a prudent driver, and this becomes the benchmark to determine whether there had been a breach during car accidents. By comparing the behavior of the erring driver with that of a driver with reasonable responsibilities it is possible to establish the fault lines. If in the given situation a model driver would have behaved more carefully then it becomes clear that the driver was negligent and hence at fault. Supporting it with the proof that the driver was booked for violating traffic rules will strengthen the case. It is not just enough to establish that the accused driver was at fault. It is even important to determine the fact that the injuries happened only because the driver was negligent. The driver’s negligence must be the direct cause or the closest cause of the accident. It means that the accident could have been averted if the accused driver had been more careful. Proving that the other driver is at fault does not ensure that you will receive proper compensation because if the victim has to share some amount of the blame, it will affect the compensation that the claimant is likely to receive. If it happens that the victim is as much responsible for the accident as the other driver who was at fault, it can nullify the claim altogether. The rules of the state decide what impact shared fault can have on the compensation amount. Before doing anything else, you should get yourself examined by a medical professional. Even if you believe you don’t have injuries, seeking medical attention right after the accident can help reveal any injuries that might not be noticeable until later. Thus, make sure not to delay getting medical help. Also, don’t forget to record all medical documents that come your way because they constitute a vital insurance claim document. Another essential action you should do after an auto accident is to call the police. That’s because you need to have what happened correctly documented. This is especially true if you’re planning to file a claim against the party responsible for the collision. Remember, the police report can be a vital tool in making your case stronger. In addition to talking to the other driver, it’s also a good idea to take pictures of all vehicles involved in the accident. While these don’t necessarily have to be professional photographs, you should document everything from the damaged cars to the injuries you’ve sustained. Similar to the police report, these pictures will be useful for dealing with the insurance company. When dealing with an insurance company, you need to hire an experienced lawyer to assist you. According to McDivitt Law Firm in Colorado, insurance companies may keep on calling you to ask questions, or ask to record you when giving a statement. In some cases, their manner of questioning may imply that what had happened was your fault. To avoid these insurance companies’ dirty tactics, call an attorney right away. When you’ve just been involved in an auto accident, you may want to move the vehicle to the side in order not to cause traffic, or leave the accident scene for good. However, moving your car to safety or leaving the scene isn’t a good idea because it may affect your injury claim later on. Like you, make sure the other driver also stays until the police and 911 arrive. This is for them to determine how the accident happened, who is responsible, and what actions should be taken later on. After calling the authorities and gathering all relevant information, don’t wait to contact your insurance company. They should be made aware of the accident so your claim may not be affected. Even if you might feel tempted to apologize for the accident as it has caused a lot of inconvenience, it’s crucial not to do so if it is not your fault. Your admittance of guilt may be used against you to argue that you’re legally liable for what happened. Furthermore, do not giving statements that are misleading to avoid being prosecuted for insurance fraud. Plus, you should always know what your rights are after getting involved in an auto collision. To make sure you do not unwittingly incriminate yourself, it’s important to speak with your attorney first before making any formal statements. The insurance company may do everything to reduce your claim such as making an offer quickly without considering your medical expenses. However, if you want to receive the right amount of compensation for your injuries, don’t ever approve a settlement without your attorney. Let your attorney negotiate with the insurer to make sure they won’t take advantage of you. Since auto accidents can be complicated, it’s a good thing to consult a dedicated personal injury attorney, especially if actual physical injuries are involved. Using their skills and expertise, they can provide you with invaluable advice and help you obtain a favorable decision regarding your personal injury claim. People are creatures of habit who are constantly in pursuit of added security. Over time, various types of insurance have proven to be a useful way of fighting our insecurities and achieving some peace of mind we all desperately need. We rely heavily on insurance companies and have faith they will protect us after a natural disaster, robbery, or a medical emergency. Little do we know that settling a claim once the opportunity presents itself is never that simple. So, what should you do, or what should I do if my claim is denied? That’s something you are bound to ask yourself sooner or later in life, especially if living in a state such as Florida, where natural disasters are a common occurrence. Should you hire an attorney to help you settle a claim? Should you fight your own battle? Is there another course of action? It’s high time you found out! Have you asked yourself the famous question: ‘What should I do if my claim is denied? Think of it like this. If your claim is approved, the insurance company will have to cash out a significant sum of money. It is only reasonable that they would try to do everything in their power not to pay you off. However, even though your insurer will be looking at all the loopholes in order to find a reason, sometimes you will be the directly responsible person. Having that in mind, make sure to do your part of the job. Here are some of the most common reasons why an insurance claim gets denied – make sure it doesn’t happen to you. You didn’t read your policy carefully. Do not try to settle a claim without reading the entire policy from top to bottom. You must know all the conditions and terms before heading to the insurance company. You didn’t gather the sufficient paperwork. Unless you want to wonder what to do now that your claim is denied, here is a tip for you – work on your paperwork. You have to gather all the necessary documents that include the extent of the damage and the comparison between the previous and current condition of your items. You failed to give a timely warning. There is a window of time when it is acceptable for you to notify the insurance company that the accident happened. Should you fail to give notice in due time, your claim will be denied. You can’t have a slip and fall accident and notify your health insurance provider two months after it and expect them to believe you without gathering any proof of their own, can you? You could pay a price too high for being careless. So, now that you know a few of the most common reasons why a claim is denied, hope remains that you won’t make such a mistake. In case you abide by the law and still have your claim denied, the procedure is as follows. When it comes to fighting any type of legal battles, you should never rely solely on your wit. There are trained professionals who can and should fight the battle for you. Your first course of action should be to hire a public adjuster, which is something you should do even before the claim gets denied or approved. Companies like A-Z Claims Adjusters that specialize in settling these types of disputes know how to bargain for the highest possible amount you are entitled to. If that doesn’t work, you should seek out the help of a lawyer. Luckily, when not satisfied with a decision that has been made, we are always given the chance to appeal. Form a letter (preferably with some legal assistance) and list your reasons why you think you were mistreated. When you get a notice of denial, you will also receive written reasons why the insurer made such a decision. Sure, you will have to wonder what should I do if my claim is denied and when it gets denied, but you won’t have to wonder why is my claim denied. Then, you will have a chance to list your own reasons. This time, those reasons should reflect on the notice of denial, and what is written in it. If you think your insurer was clearly wrong in any of the reasons they listed, voice your opinion. But, don’t let the stress of what has happened get to you. Even though you are stressed about your car accident, the damage of a hurricane or the sheer fact that you were robbed, don’t let your temper get to you. Instead be polite and try to sound reasonable. No one dreams about being dragged to court when purchasing an insurance policy. But, once the accident that should be covered happens, your claim gets denied, and all of your other efforts prove futile, there is nothing else for you to do but go the extra mile. And what is your final destination when the claim gets denied? The courtroom. Seek out the help of a personal injury lawyer in Florida, and fight for your rights. Appreciate the value of a dollar and think whether hiring a lawyer is the right step. Although, you should keep in mind that hiring a lawyer and paying for their hourly wage will be a costly endeavor. This is a moment when you will have to behave rationally. If the amount you will have to end up paying for legal help exceeds the amount you could potentially receive, there is no point in you fighting a battle that is already lost. So, what should I do if my claim is denied? Hopefully, that is a question you now have an answer to. Finally, you have to realize that not all things are up to you. There is no point in stressing out about things that are out of your power. That only brings about more damage and unhappiness, and you’ve had enough of those. Laws on the Road: What’s the Smallest Street Legal Motorcycle? The world’s smallest motorcycle has a wheelbase of 3.14 inches and can go a blistering 1.24 miles per hour. This bike is micro in comparison to the smallest street legal motorcycle. So you want to start riding, but want to start small? That’s a smart choice. We’ve put together a guide of the smallest street-legal motorcycles available. Keep reading. A scooter has a foot platform and a step-through chassis. While a motorcycle requires you to swing your leg over and straddle. The engine in scooters tends to be between 50 and 250cc. On a rare occasion, you can find a scooter with a larger engine up to 850cc. Some think that an engine this size should mean that it should be a motorcycle. The major difference is that step through chassis. You also don’t need a motorcycle license to ride a scooter. Before we get into the different small motorcycles, it is important to know that motorcycles can be dangerous no matter what size motorcycle you are on. Before you start riding, you need to ensure you have the proper gear and know how to ride safely. If you happen to get into an accident, you will want to find an attorney that specializes in motorcycle accidents. Look for attorneys have the knowledge and experience to effectively represent you in your claim. This website is an example of a law firm that specializes in personal injury cases, which includes motorcycle accident injuries. Now, let’s talk about bikes! BMW has two different small bikes two choose from. The first is the R model that has a naked look to it. It’s 313cc pumping out 34 horsepower. It is slightly heavier than other bikes on this list at 349 pounds. The other model, the GS, has the same size motor as the R model. The big difference is that it is a mini copy of the larger R 1200 GS. This little bike has a tough streetfighter style and gives you a respectable 250cc engine producing 24 horsepower. You may not have heard of CSC motorcycles, but give this smaller brand a chance. For those who want to own the road and the dirt then CRF250 is the bike for you. This dual sport motorcycle is 249.6cc with superior performance both on and off the road. Do you love the look of those big cruises but don’t want to handle all of that weight? Then meet the Honda Rebel. This 300 horsepower motorcycle may be small, but it gives off all of the tough attitude you’d expect from the larger bikes. It’s only 361 pounds, making it perfect for cruising city streets and never growing tired. This is downright lightweight compared to larger bikes of a similar style that can easily weight 600 to 800 pounds. You also have the option of buying it with or without ABS brakes. Take it from us, you want the ABS brakes. Once you try them out, you’ll never want to go back. How about a compact that gives you more spring and responsiveness than a scooter? The engine is only 125cc and tops out at 10 horsepower. This isn’t a lot of power, but the bike only weighs 225 pounds. This makes it one of the lightest motorcycles out there. Don’t plan on going far on this bike. There’s a reason you only see them prowling in packs around the urban streets. This is another dual sport bike on the list. This one joins Kawasaki’s lineup of street adventure bikes sized at 600 and 1000. If you are familiar with the wildly popular Ninja 300, this bike uses the same twin 296cc engine. If you want a street bike, then be sure to check out the Ninja 300 instead of the Versys. The Ninja 300 took over from the previous model that was 250cc. If you are ok with buying a used bike, you can find some cheap 250 models. Kawasaki wasn’t going to let Honda take over the market with the Grom, so they introduced the Z125. It has an aggressive style and stance for such a small bike. It’s powered by a 125cc engine and just at 224.8 pounds it has no problem climbing hills and owning the city streets. This bike is purely for urban exploring. This is the ultimate in streetfighter hooligan style. Check out the metal framework that encases the engine. Look for a 2017 model or newer as the bike got a makeover that makes it a pleasure to ride. The newer models have a slipper clutch, throttle-by-wire, and updated suspension and brakes. The entire bike weighs 340 pounds and is powered by a 373cc engine pumping out 43 horsepower. Do you want a sport bike that looks and feels like a super sport but you aren’t ready for all of that power? Then the GSX 250R is perfect for you. The 248cc engine is perfect for a beginner. Plus you’ll have that cool factor of the legendary Katana bodywork. If you love that retro cafe racer style, then this is the bike for you. It oozes old school cool 1970’s style. It only has 199 ccs, but it’s also only 282 pounds. Don’t choose a small motorcycle based on a review or a picture. The best thing you can do is get out there and sit on all of the different smallest street-legal motorcycles. Find one that fits your style, and you feel comfortable on. It will be no time before you are confidently whipping around those city streets. No matter what size motorcycle you are on, make sure you know these five common causes of motorcycle accidents. Car Collision Confusion: Who’s At Fault in an At-Fault Accident? An average of 3,287 people die every day in road crashes. That’s a staggering Nearly 1.25 million people every year. You probably don’t think about dying, or killing someone, when you get in your car. Who would want to? But, it’s important to understand that a car accident can occur at any moment. If it’s your fault, you could end up with a lot of auto repair and medical bills in your lap. After a collision, a driver’s initial reaction is often to check if the others involved are okay. Drivers and witnesses then provide statements to first responders. Later on, determining who’s at fault in an at-fault accident can be a challenge. The at-fault driver is usually liable for any losses. Insurance companies or business owners may be financially responsible for the driver’s actions. A driver may also receive a citation if found at fault. In many states, fault determines which driver pays for all involved medical expenses. Those expenses can easily exceed the property damages. To understand how to find out who’s at fault in an accident, we must examine how the law defines fault. Assigning blame involves applying one of two concepts: contributory negligence and comparative negligence. Contributory negligence does not allow an at-fault party to make a claim. There are two types of comparative negligence: pure comparative and modified comparative. Pure comparative negligence allows a party to make a claim only up to as much as that party is at fault. Modified comparative negligence allows a party to make a claim only when they are less than 50% at fault. Fault must be proven by evidence. Unfortunately, there are times when it is not clear who was at fault in an accident. Rear-end collisions are often the fault of the driver at the tail end. But that’s not always true. The front car may have been driving in an erratic manner. In a multiple-vehicle, rear-end collision, there are even more variables to consider. A driver may be liable for only part of an at-fault collision due to another driver’s actions. One of the drivers may not have kept a safe following distance or braked suddenly. With other types of accidents, it can be even harder to determine who is liable. One or more drivers may have been speeding, intoxicated, or distracted at the time of a collision. Sometimes even the way states write their laws can affect who is at fault. Local governments can also have specific traffic laws that affect liability. A driver who was speeding may be at fault even if the other driver acted improperly. A speeding driver who collides with a driver who made a sudden lane change. In some states, the drivers may share liability. Parking lots are common places for at-fault car accidents. There are many cars backing out and pulling into compact spaces. If a driver is backing out and a car collides with them, either driver may be liable. It may depend on how far the car had backed into the lane. The speed of the car driving down the lane may also be a factor considered. The driver of the rear may claim that a car that is no longer on the scene caused a reaction. Or the driver may claim that some other factor caused the accident. 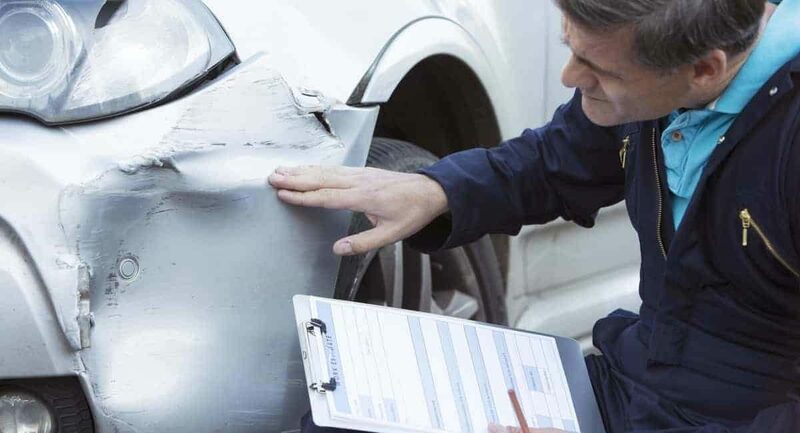 Examining damage to the rear car will often clarify if the accident involved another car. Evidence of other outside factors, such a dog running the street, may be more difficult to prove. Some accidents may be a result of a manufacturing defect or a vehicle malfunction. A blown tire or a mechanical failure may be to blame for the accident. A manufacturer may be liable for all or part of an accident. Other extenuating circumstances may be to blame for a collision. A weather factor, such as black ice, may cause an accident. If a driver loses consciousness due to a sudden medical emergency, such as a heart attack, no one may be liable. Investigators must consider many factors when trying to find out who is at fault in a car accident. When responding to the scene of a collision, they take photos and conduct interviews. Investigators will compare the statements to determine the truth if there is disagreement. They will consider physical vehicle damage, other damaged property and skid marks. Investigators will also look into the drivers’ histories. They will take note of traffic citations issued and traffic law violations. Investigators may try to find available video camera footage, public and private. Investigators rely on their training and experience with how to determine fault in a car accident. If you’re contesting an insurer who believes that their driver was not at fault, call this firm for help right now. If investigators aren’t sent to an accident scene, drivers should still gather evidence. They should exchange insurance information and ample contact information with one another. Drivers should photograph the scene and the damage caused to vehicles and property. A driver should get statements and contact information from available witnesses, also. If there is a possibility that fault will be contested, a driver should call the police. Many states require the police to respond at certain thresholds of damage or injury. It may be worth the wait to get a police report on record. The support of a police officer may add credibility to a driver’s claim when contesting fault. Being found at fault in an accident isn’t always the end of the matter. The decision is disputable and changeable. A driver or legal representative may gather further applicable evidence. They may contest existing evidence. This can change who was found at fault. Insurance companies may arrive at conclusions different from what the courts would decide. Police reports may be inadmissible in a court proceeding. This is because the officer often did not actually see the accident. Contesting a traffic citation and having it removed from the record could also alter who is at fault. It’s not always clear who’s liable in an at-fault accident. Understanding how negligence determines fault helps to identify one’s responsibility for losses. Investigators should make objective decisions based on evidence. If you’re in a car accident, the actions you take afterwards are relatively simple. Depending on the severity of the crash, you want to get information from the other party, including license and insurance. You would have to call your insurance company then to make a claim and decide who is at fault. After that, you’ll be on your way to getting your vehicle repaired. If the accident is more serious than that, more information will need to get exchanged, and the at-fault party is liable for more damages. However, if you’re driving for a rideshare company like Uber, things aren’t so clear-cut. You’re not only in charge of your vehicle and your safety, but you have the safety of a stranger sitting next to you to consider. It can be difficult to determine what you all need to do. That is why it’s a good idea to speak with an Uber accident lawyer like I Accident Lawyer. If you’re in a rideshare accident, here are a few steps to take to help you out. Accidents are stressful no matter what the severity is. That stress can cause us to get overwhelmed and act irrationally, which could make matters worse. Remain calm and assess the situation first. Call 911 right away if the accident is serious and involves bodily harm to yourself, your passenger, or the other party. Once you know that everyone is okay, you’ll want to speak with the other party involved in the accident. This is when you would exchange contact and insurance information. Make sure to remain calm and do not take fault of the accident (or put blame), even if it was your fault. If you have a camera, take pictures of the accident. Document all the damages you see on your vehicle, to the other party involved, and anything around the area that was caught in the crash. The more information you can document down, the better it will be for your case. At this time, if there were witnesses to the accident, gather their information as well. They could be valuable if the accident ends up in court. You’ll want to notify your rideshare company of the accident. They may have special steps for you to take, or have someone that you must talk to. The company may also have their own insurance for these situations that you can use. Contact the company first if you were in transit with a customer in the passenger seat. If you were waiting for someone or were not actively driving a customer, you could contact your personal insurance company first. Although as a driver, you do your best to avoid getting into an accident. However, no matter how alert you are, an accident can still occur. When that happens, always remember to stay calm and think rationally. You wouldn’t want the police to show up as you and the other party involved in the accident are fighting. Pedestrian accidents can happen when you are running, walking or simply standing on a sidewalk. Whether you are hit by a car, motorcycle, bus or truck, your injuries are likely to be much more serious than those you might sustain if you were inside a vehicle that has been struck. If you’ve been injured in a pedestrian accident in New York or New Jersey, you may be entitled to financial compensation. Attorney Peter Briskin is an experienced pedestrian accident lawyer. He and his team can make a big difference in how successful you are at obtaining the money you deserve. What to Expect from a Pedestrian Accident Lawyer? When you have sustained injuries in a pedestrian accident, it’s important to get immediate medical attention. This gives you the best chance of recovering from your injuries, and it can also make it more likely you’ll be successful in obtaining compensation. Can you provide details on how the accident happened? What type of vehicle was involved and are you able to identify the driver? Can you describe the location where you were struck? Did you need medical treatment at a hospital? When did this happen? Which hospital did you go to? Were you taken by ambulance? Did you require surgery? Are you still undergoing any treatments or are you seeking treatment? What doctors have been involved in your treatment? Has the accident impacted your ability to work? This is an example of some of the questions you may be asked. Each case is different, and our legal team is professionally trained to thoroughly evaluate your case and advise you on the next steps you should take. Who Pays for My Medical Expenses? Who pays for medical expenses that occur from a pedestrian accident? The bills from hospitals, doctors, ambulances and physical therapists can pile up very quickly. Medical expenses may sometimes be covered by your own insurance company, depending on your policy and the state of your residence. Equally important, you may be able to sue for lost wages as well as pain and suffering with the guidance of an experienced personal injury lawyer. When your injuries were caused by someone else’s negligence, recklessness, or carelessness, you deserve to be compensated. Contact our team of expert pedestrian accident attorneys to go over the details of your case. There is no charge for a consultation, and we will be happy to meet you at the hospital or at your home or office. Call us today.